Can Wirtland offer jobs? Our answer is yes. Our citizens must earn money in Wirtland, and the more the better! At the moment, Wirtland needs Representatives, who can communicate with people from their city or country, and answer the questions in their native language. New members register every day. They have similar questions. It will be good if every new member was welcomed in his own language, and could get all the needed information from a specially appointed officer. Ideally, we want to have such official Representatives for every big city or region of the world. He or she will have complete information about Wirtland’s procedures, and will be able to answer other people’s questions. For example, Spanish-speaking Representatives could work through our Habla Hispana Group, Russian-speakers – through Russian Group, etc. Requirements: He or she must be an educated person with a valid Residence Permit and good command of English language. What about the salary? We do not have a budget to pay salaries. But a Representative will be able to earn money by offering paid assistance services and official Wirtland merchandise, accept and process donations, find business opportunities related to Wirtland, etc. We will discuss this in more detail with interested persons. We hope Wirtland Reps will help to attract and educate more new citizens, and help themselves too! Comments are welcome. ← Please register at WoW and help to raise funds! I can be a Representative of Wirtland in Israel. No problem with that. I am an English tutor and have my own office in the center of Haifa-city. I can help people get all the needed information and will do it with my pleasure in three languages – English, Russian and Hebrew. According to salary… Well, of course, I understand the situation and don’t pretend on it at the current moment. Salary can not appear out of nothing, it should be formed from certain incomes. Many thanks for your interest. Wirtland is not a bureaucratic country, and as you have all the needed qualifications and a Residence Permit, I am sure you will be appointed very soon! Congratulations! You will receive all the information by e-mail. Further, your membership status at WoW will be raised, Wirtland’s official symbol will appear in the corner of your avatar image, your comments will be free from moderation, etc. 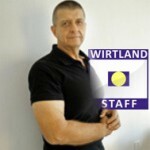 As number of Wirtland’s staffmembers will grow, a special group with restricted access will be opened to discuss rights and obligations of Wirtland’s representatives, exchange and update information. 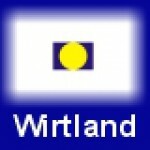 In future Wirtland plans to adopt a special law to facilitate and regulate the operation of Wirtland’s representatives. Welcome to Wirtland’s official staff! I am much interested in this opportunity to contribute toward the future of the nation, but I would like to know how much of time/work commitment is expected. I am both a business owner (I plan on incorporating in Wirtland this year) and a graduate student at the time and while this allows me a very flexible schedule I do have many existing commitments. Thank you, and welcome to Wirtland’s official staff! 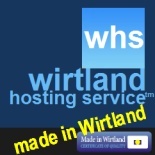 Please apply for access to group Wirtland Staff, where all details are to be discussed. Saludos desde Medellín Colombia. Soy Docente Universitario con mucha experiencia en educación superior y me interesa ser su representante en esta cuidad. Many thanks for your interest. You will be very welcome. Of course, first you must have a Residence Permit (To be eligible for position of a Representative, the person must possess Residence Permit of Wirtland). After you receive your Permit, please apply for membership in the Staff Group (http://wirtland.agilityhoster.com/WOW/groups/wirtland-staff/). 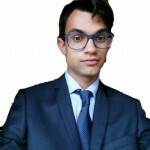 Hola soy de , Guayaquil Ecuador graduada en psicologia y con estudios y experiencia como commercial freelance, actualmente vivo en España y me gustaria ser Representante de mi ciudad. Saludos desde Venezuela, soy graduado en Turismo y docente en el área de Atención al cliente del Hotel Escuela Venetur. actualmente vivo en el norte de mi país frente al mar y estoy interesado en formar parte de este país como ciudadano activo y representante del mismo. I can be a Representative of Wirtland in the Netherlands. I no other obligations and can give my full time to be a Representative . I understand i have to get a residence permit before i can apply to be a Representative . I speak in 3 different languages , Dutch , English , Russian . 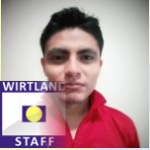 Hello Cris, I’m very interest in being a representative of Wirtland in mi City (Lima – Perú) I have a residence permit and I can help with information in Spanish, English and Portugues. Very well, Ever. We have granted your access to the Group. Welcome to Staff! You may now communicate with other Representatives directly, and ask questions. We will soon add your information to our Map of Wirtland Representatives. Let me know if you would like to have the official Certificate (it takes some time to produce). can be a Representative of Wirtland in Ecuador. I am from portugal, but living and working in Cuenca, Ecuador. I speak inglish, portuguese and spanish. 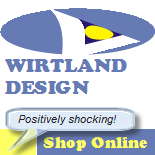 I can be a Representative of Wirtland in Ecuador. I am from portugal, but living and working in Cuenca, Ecuador. I speak inglish, portuguese and spanish. I am interested in serving with Sarah as a Representative in the United States. I am located on the East Coast, so may be able to serve the needs of those whose schedules line up well that way in terms of time zones. As you’ll see from my profile, I think I satisfy the educational requirement. I’m a student of languages and can communicate effectively in English and French, with some facility in Spanish, German, Japanese (very rusty), and Esperanto. Hello, i’m Christopher and I will be happy to be the rappresentant for Italy. I speak Italian, French, English and a little bit of Spanish. I wil be reacheable by e-mail. I have the residence permit. Can you tell in which city of Italy are you based? I am Aditya and I’m from the state of Maharashtra in India. Which makes up more than half of the west of India. I just came to know about Wirtland when I was reading about Sealand (of which I came to know just now too) and I must say that I’m REALLY excited and happy to know about. I too like to make countries and kingdoms and empires but they’re mostly for my fanfictional stories. But after reading about Wirtland, I’m really excited and would LOVE to serve as it’s Representative in India. I’m sure I could get at least 5 or 6 citizens for our Wirtland from my circle of bffs, and if not that, then they’d at least come as tourists. I understand the responsibility of being a Representative of a Nation to another nation and would do my best to make Wirtland one of the best countries. hola me entere de wirland por youtube saludos a todos soy del la cdmx mexico. 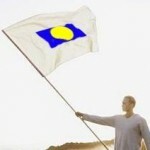 es interesante una nacion virtual ya que despues de todo una nacion es informacion historica, adminitristrativa legal, y de valores que practicar. I’m based in Sanremo, italy. I live in Istanbul, Turkey. I am academician and I hold MBA diploma in Finance and PhD diploma in Economics. I speake 5 languages: Turkish, Turkmen, Uzbek, Russian, English. How I can be helpful in progress and development of this lovely country Wirtland? Do you have Ministry Cabinet? Can we apply for positions such as ministry of economy of ministry of finance? Or these governmental and administrative positions are subjectted to elections by witizens? Hello! Currently we offer positions of Representatives (see article above). Representatives in future can become Consuls. Hi everybody, hope you´re well. I have just joined to the community, I´m glad to take part of this. 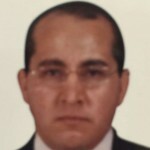 I´m a student from Mexico city, by this time I don´t have the residence permit, but as soon as possible I´ll have it. Hola me gustaria representar en la ciudad de Miami USA. me agradaria me explicaran bien el proceso. Many thanks for your interest. You will be very welcome. 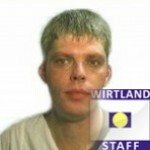 Please apply for membership in the Staff Group (http://wirtland.agilityhoster.com/WOW/groups/wirtland-staff/). I hope soon they contact me since, because i want to process my citizenship. it would be an honor after getting my citizenship document, apply as a representative of mexico contry. 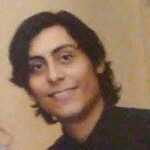 I have experience in IT and Foreign Trade and I believe that I could contribute positive things to this cause. I want to become a Representative of my country, i have experiencie in electronic security and IT field, also i live in a touristic harbor and i have conections with people from arround the fisical world.